KS Engineers, P.C. (KSE) completed the enormous task of collecting GIS data, including location and physical attributes, and visually inspected approximately 5,400 stormwater outfalls along 250 miles of roadways on the New Jersey Turnpike and Garden State Parkway. The New Jersey Department of Environmental Protection, in 2004, released new regulations for controlling the discharge of pollutants into the state’s waterways from stormwater drainage systems. As part of this regulatory process, all public authorities–including highway authorities–in New Jersey were required to map the location and condition of all stormwater outfalls on their property. The outcome of this project was expected, in the long run, to save the client time and money by avoiding fines imposed by NJDEP. 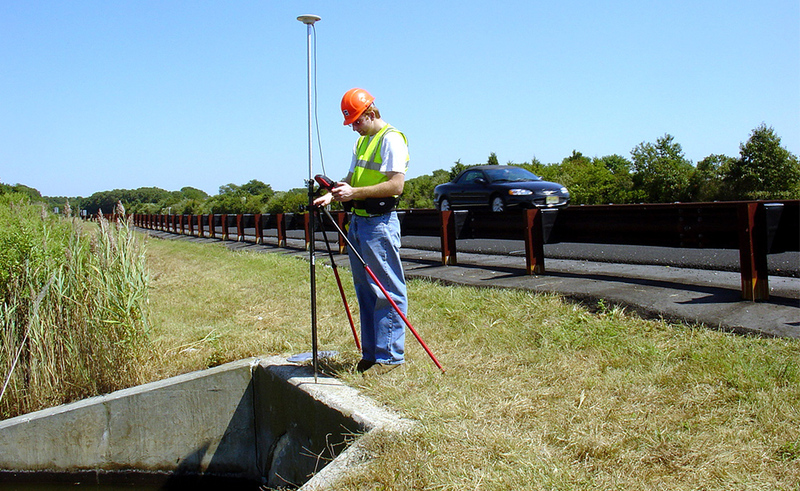 Additional as-built maps, with overlain aerial images, prepared under this project made the roadway maintenance personnel’s jobs a lot easier by allowing them to locate quickly any outfall on the busy and high-speed roadway system, and to know beforehand all the physical attributes of any particular drainage outfall along the heavily traveled high-speed highway system. KSE completed all project work within the scheduled timeframe and under budget. In recognition of our work on this project, KSE received the 2007 National Recognition Award from ACEC National, the 2007 Diamond Award for Engineering Excellence from ACEC NY, and the 2007 Honor Award for Engineering Excellence from ACEC NJ.